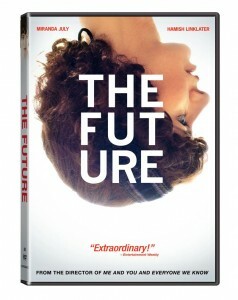 The Future available on DVD, Digital Download and On Demand on Nov. 29th! What’s good about this is that it has 1) my first ever director’s commentary and 2) a little short about the making of the movie including footage from the performance that the movie evolved out of. I think you will like that. I also feel the need to tell all 40,382 of you that I’m wearing an extraordinary amount of make-up in my interview in the making of. In fact this might be what Entertainment Weekly is referring to when they say “Extraordinary!” on the cover.